We recently got a dumping of snow. The most in a number of years. Parts of the Greater Toronto Area got towards 40cm, though we here in the east part of town only received 20 to 25cm. Falling on a Thursday evening through Friday, it gave us an opportunity we hadn’t been able to explore all season – going snowshoeing without driving anywhere. 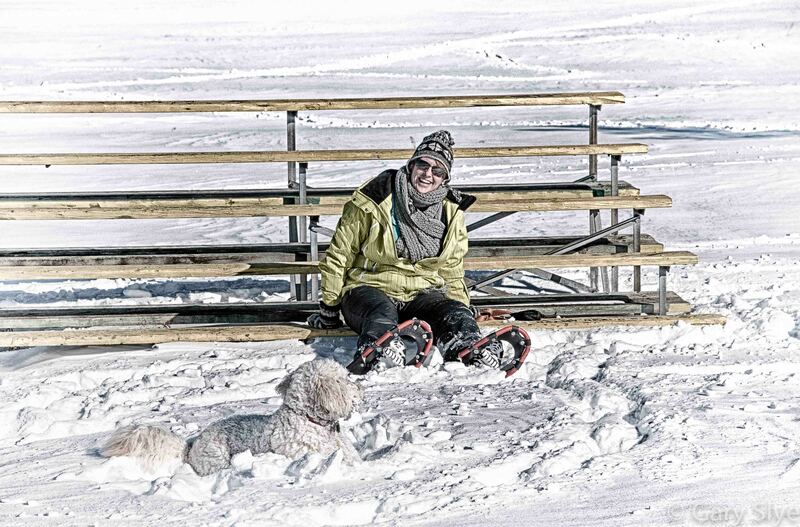 We layered up, grabbed the snowshoes out of the basement and made the short walk to a park that leads to the beaches. It felt funny snowshoeing on the beaches, but it was great. Molly the Doodle loves snow and sand equally, so she was in her element. I’ve been playing around with HDR and managed to grab a quick burst of three photos. The latest software deals well with ghosting and small movement well and this photo seemed to come successfully. This entry was posted in Nature, Portraits and tagged beaches, Doodle, Greater Toronto Area, Hiking, outdoor photography, photography, Snowshoe. Bookmark the permalink.